San Diego, California – May 26, 2016. IMG GlobalSecur, a leading international security consulting firm, is proud to announce a ‘think piece’ post to its FoneTrac blog explaining how a travel security app can be used to enhance employee travel security to/from Mexico as well as improve employee monitoring solutions, including itinerary-like information. To read the post in full, please visit https://www.fonetrac-go.com/2016/05/employee-monitoring-mexico/. There, in addition to an explanation of how a smartphone travel security app can be used for employee travel security to or from Mexico, interested parties can explore the lively blog about travel security issues. To learn more about the FoneTrac travel security app, in general, visit https://www.fonetrac-go.com/. Mexico, of course, is a foreign country even though it lies on the border with the United States. However, many companies send employees both back and forth the border between the two countries often on a daily basis. This frequent travel can create a false sense of security, and create difficulty securing employee compliance with “check ins” and itinerary monitoring. In comparison with a trip to China or Saudia Arabia, a trip to Mexico may not have a detailed itinerary. Yet the employer is still obligated to keep track of employees, so that in the event of an emergency they can be informed and updated. Indeed, employees themselves can benefit from the ability to access 24/7 help via the GlobalSecur system, as for example in getting assistance during a medical emergency on how to navigate the Mexican health care system. 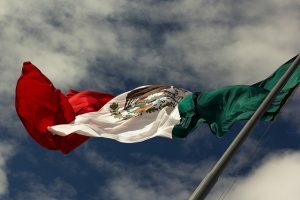 This new blog post explains how to think about employee security in Mexico while leveraging the power of the smart phone.